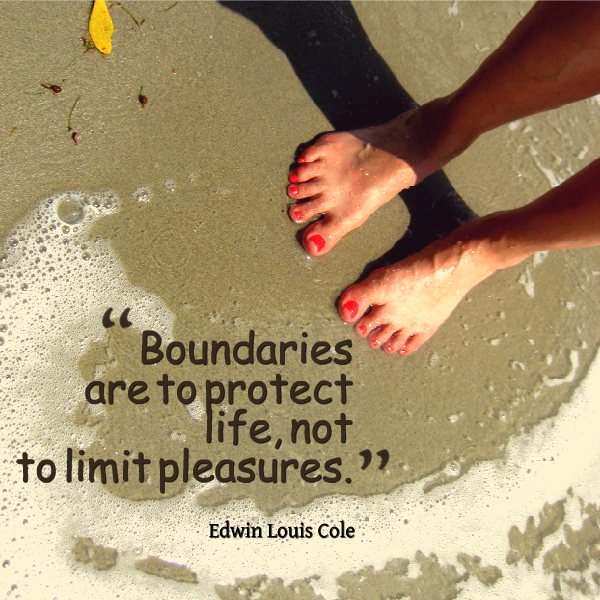 Boundaries define everything that exists. Boundaries are where chaos ends and existence begins. Boundaries tell us what something is and what it isn’t. If we read the various creation accounts in Genesis, Moses and Abraham we see God dividing things. By dividing light from darkness he created a boundary, whereas before there would have been nothing. He divided the waters of the firmament, the seas from the land, animal life from the seas and land, man from the earth, and the woman from the man. Finally, mankind was divided from God during the fall. Each of these steps was an act of division. Division is creation because dividing creates boundaries, and in the process something new is defined. Living organisms all start with a single cell that divides billions of times to form what could be any variety of complex life. Computers work on a binary system that begins with a 1 and a 0, electricity and no electricity, something and nothing. From that 1 and 0, you can create infinite strings of digits that can be crafted to produce entire worlds operating on mathematical principles within computers. These virtual worlds in all of their complexity came because man divided electricity from nothing, light from darkness, 1 from 0. All existence is the product of a binary system. By accepting God’s will, we are accepting his boundaries. We only become like Christ when we are precisely what he is and nothing else. As impossible as that may seem, that is what Christ’s entire mission was for. What kind of faith do we have when we imagine an atonement that is too weak to lift us to the level of Christ and the Father? Christ prays that we can become one with him an his father and some scoff at this. As for me, if I’m going to believe in him, then I don’t see why I shouldn’t believe him. We are conscious, self-aware beings prospering upon a small planet in a vast solar system, whirling around a massive galaxy filled with billions of stars and worlds in a vast universe filled with innumerable galaxies. The Creator’s voice brought order to chaos, can he not bring perfection to a willing heart? Are we not a cosmos as well? A system of atoms, molecules, cells, neurons, electricity, fibers, sinews, blood, muscle, and skin? As God ordered the greater cosmos, we younger gods must learn from the Master how to order our own little cosmos. We must make his boundaries our own and follow his pattern to define what we are and what we are not. We are not just a part of creation, we are the reason it was created. “Division is creation because dividing creates boundaries, and in the process something new is defined.” As we strive to become, as you said, we are accepting His boundaries. I think it’s also fascinating that we become as Christ is through the ordinances of the gospel. And in doing so, we make covenants – thus “cutting” and making divisions of our own in obedience to the laws of the gospel. When we symbolically “cut” a covenant, we accept a greater portion of Christ’s atonement into our own lives, and “in the process, something new is defined.” We become new creatures in Christ!